A new government child obesity strategy, centred around a levy for high-sugar drinks, has been criticised for not doing enough to tackle the issue. We spoke to three psychologists about what had been missed, what better approaches there could be and what impact the existing strategy could have. The UK-wide sugar tax will come into effect in April 2018, and drinks with more than 5g of sugar per 100ml will face a levy, while a higher tax will be placed on drinks with more than 8g per 100ml. Manufacturers have until that date to reduce the sugar content of their products, and money raised from the eventual levy will be put towards breakfast and sports clubs for children. The strategy also recommends children get an hour of physical activity per day, half in school and half at home. Many have said the strategy lacks power and gently ‘suggests’ or ‘promotes’ where changes should be more stringent in the face of a population where up to a third of children are overweight or obese. Other than the tax, Professor Halford added, the strategy relies large on many voluntary aspects, an approach that is largely seen to have failed in the previous responsibility deal. This approach, introduced by the Department of Health in early 2011, asked food manufacturers to pledge to cut salt, fat and sugar content from foods: many believe it has done little to change eating habits. Lou Atkinson, a health psychology researcher from Coventry University, who shared many of the concerns that the strategy didn’t go far enough, suggested our battle against obesity should start from an even earlier point – in utero. Atkinson also pointed to the strategy’s lack of two key pieces of evidence put forward by Public Health England, which encouraged the government to tackle both advertising of junk foods to children and price promotions of unhealthy foods in supermarkets. 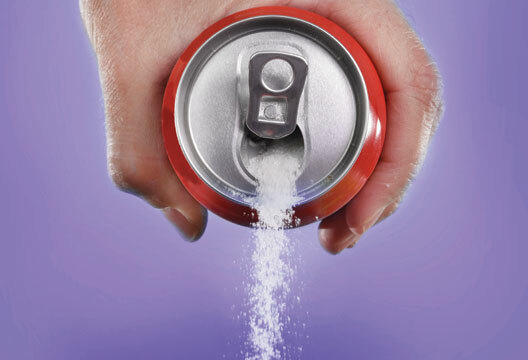 Atkinson told us she was positive about the sugar levy but nervous that the government’s approach did not go far enough: ‘If you look at tobacco, alcohol and the carrier bag tax, there’s good evidence that financial interventions affect people’s behaviour in terms of choices they make and benefits to their health. Although the sugar tax is mostly untested, small trials on a city level show reasonably good results, but it’s unproven at a national level. There’s a good chance it will work, but unfortunately price promotions and the voluntary nature of the changes the government are pushing for, in terms of reducing sugar content, or reformulating recipes, might wipe out any benefit we get from the levy,’ she said. Atkinson pointed to a lack of help for parents in the new strategy, and said many have a lack of self-efficacy and confidence in restricting their children’s diets and resisting the urge to give in to tantrums and pester power where unhealthy foods are concerned. Ogden pointed to a recent debates about obesity being a problem of both genetics and society, rather than the individual. ‘It’s a really complicated issue, because what you tell people can sometimes be very different to how you have to treat them. You need to send the message that obesity is a problem for the individual to encourage them to make healthy choices, whilst at the same time you also have to behave as if it’s a social problem and tackle obesity at an environmental level,’ she added.